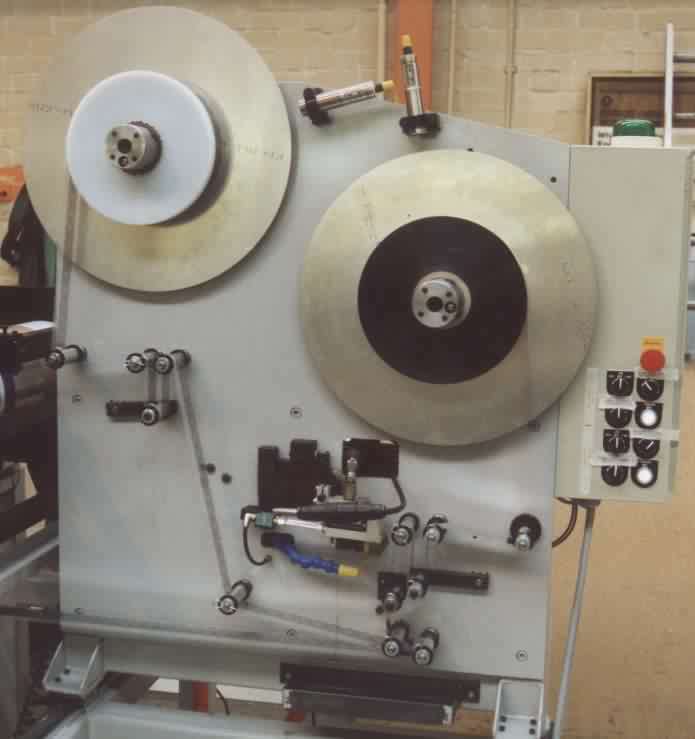 The Harnden Power Driven Tape Unwind can be used to unwind tape from 12mm to 150mm wide at constant tension irrespective of reel diameter or web speed. It is often used in conjunction with hot melt gluing application. This Picture shows double Power Driven Driven Tape Unwind with hot melt glue application.